The North Shore swim program, being only three stages in length, serves to cover our entire ten step swim program. With this in mind, once you’ve found out what stage the child is in, clarify how far along the given stage the child is. For example, if they are in I CAN SWIM Stage two but only just passed and they’re still not quite able to swim ten meters of front crawl but can kick on their front, back, and side for 10 meters, then they would move into Swim Kids 4 as they wouldn’t meet the skills required for Swim Kids 5. If the parent truly has no idea but knows the child has been in the stage for a decent amount of time, simply put them into the intermediate level of the Swim Stage there in. Not sure which program to put your child in? Please take a look at the program equivalent charts to see which Red Cross program your child should be in. These also apply if North or West Vancouver Recreation swimming lessons were taken. Red Cross Swim Preschool and Tiny Tots is an 8-level program designed for different ages and abilities. Each level is represented by an animal mascot that is incorporated into the content and makes the lesson engaging and fun through lesson plans and activities. Levels include Sea Turtle, Sea Otter, Salamander, Sunfish, Crocodile, and Whale. Red Cross Swim Kids is a 10-level program for children learn to swim, be fit, and stay in a safe environment that promotes achieving personal success. The program teaches competitive and survival strokes, and allows for a solid progression of skills and knowledge. Private Swim Lessons are taught by qualified Canadian Red Cross Water Safety instructors. You will increase your comfort level in the water, improve your stroke efficiency, and create a more effective swim workout. Private lessons provide the greatest flexibility and one-on-one attention for swimmers of any age. Bronze Medallion teaches an understanding of the lifesaving principles embodied in the four components of water rescue education: judgment, knowledge, skill, and fitness. Rescuers learn self-rescue techniques, defense and release methods, and tows and carries in preparation for challenging rescues involving conscious and unconscious victims of various types, including spinal injuries and circulatory emergencies. 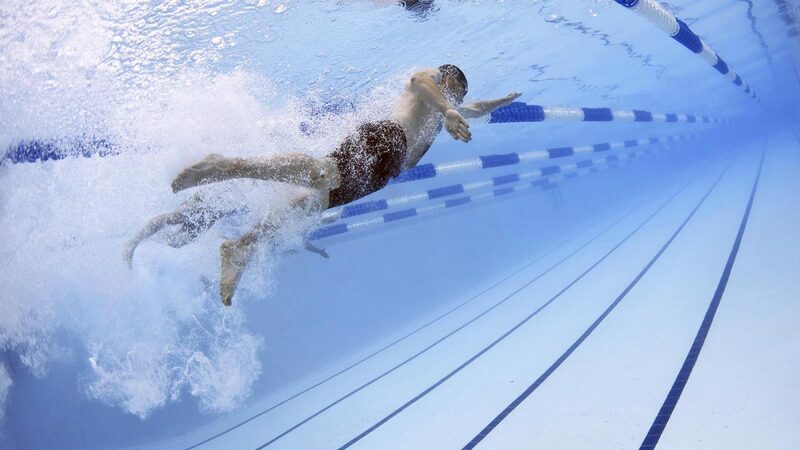 Lifesavers develop stroke efficiency and endurance in a timed swim. Includes the CPR-A certification. After Bronze Medallion, Bronze Cross is designed for lifesavers who want the challenge of more advanced training including an introduction to safety supervision in aquatic facilities. Candidates develop proficiency at performing patient assessments, managing aquatic spinal injuries, and preventing the loss of life in a variety of aquatic emergencies, while developing stroke endurance and fitness training skills. Includes the CPR-C certification and worth high school credits. facilities and emergencies. The NLS Pool option builds on the fundamental skills, knowledge and values taught in the NLS core course to train lifeguards in safety supervision and rescue in a pool environment. Masters Swimming is for any adults who enjoy swimming for fitness and recreation and who wish to improve their swimming ability. We offer regular, structured training sessions under the watchful eye of a swim coach. Practices emphasize stroke improvement, cardiovascular activity, and progressive fitness training.